2018’s Vans Park Series Pro Tour kicks off in São Paulo, Brazil at a brand new skatepark next weekend where Select Men and Women VPS Pros will go head to head with Challengers, Wildcards and regional hopefuls pushing for a piece of the season’s first VPS podium. VPS tour vets Oskar Rozenberg Hallberg (2017 Men’s Park Terrain World Champion), Ivan Federico, Jack Fardell, Cory Juneau and others. 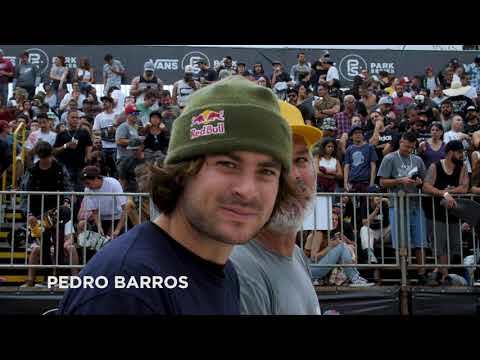 Florianópolis’ Pedro Barros will defend his 2016 and 20117 VPS Brazil titles and blaze against top contenders Tom Schaar, Alex Sorgente, and new Wildcard Fernando Bramsmark looking to claim a 3-peat in his home county. The Brazil stop is also the newest addition to the expanded 2018 VPS Women’s Tour, open for registration to all women’s competitors to compete against Select Pros such as defending 2017 World Champion Nora Vasconcellos, former champ Brighton Zeuner, Lizzie Armanto, Jordyn Barratt and Brazil native Yndiara Asp. Prospective competitors are encouraged to enter here. 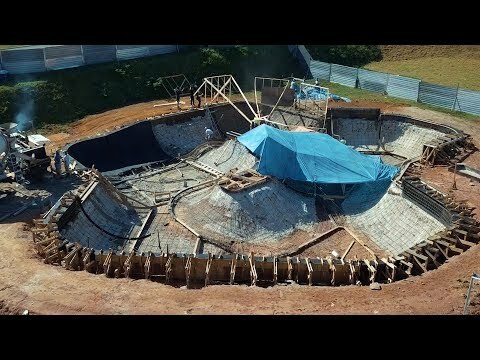 Located in the heart of São Paulo – the biggest city in Brazil and in the region—Vans will debut its brand-new park, a public, free access built-to-spec skatepark with over 2,800 square feet of never before skated park terrain, featuring a 9 1/2 foot deep end, multiple transfers, extensions, a center volcano, ledges, rails, and smooth concrete coping all around. The 2018 Vans Park Series Pro Tour will be broadcast live in English and Portuguese for free on ETNlive.com, the ETN app, and vansparkseries.com. The broadcast times and the final roster of Select Pros, Challengers and Wildcards for the 2018 VPS Pro Tour is now available online at www.vansparkseries.com. The Vans Park Series brought many of the world’s top park terrain rippers to Shanghai, China last week. And despite the shuffle in the competition schedule due to wet weather, Oskar Rozenberg Hallberg and Nora Vasconcellos earned their keep as 2017’s world champions of park terrain skateboarding. Drop by the Vans Park Series website for a wrap of the action.